US President Donald Trump has said he could extend the 1 March deadline to reach a trade deal with China if they are making good progress. Chinese and US officials will hold high-level talks this week aimed at halting their damaging trade war. US officials previously said 1 March was a hard deadline for achieving a deal to avert further tariffs. Both countries have imposed duties on billions of dollars worth of one another’s goods. “If we’re close to a deal where we think we can make a real deal and it’s going to get done, I could see myself letting that slide for a little while,” Mr Trump said referring to the March 1 deadline. In December, both countries agreed to halt new tariffs for 90 days to allow for talks. 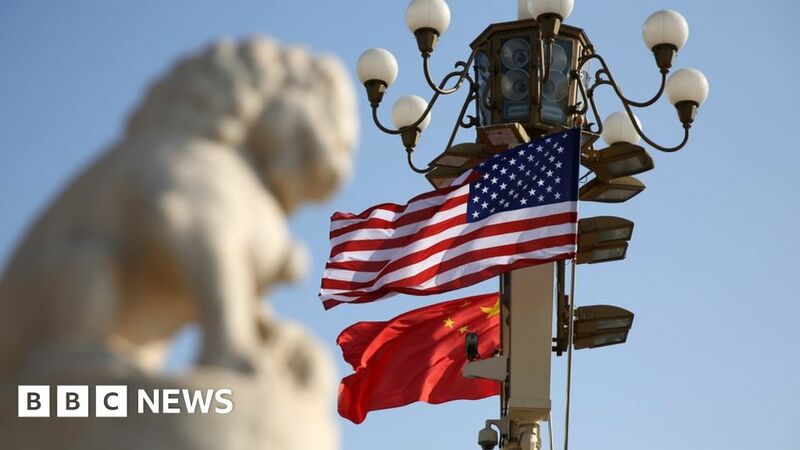 The US has said it will increase tariff rates on $200bn worth of Chinese imports from 10% to 25% if the two sides don’t strike a deal by 1 March. Mr Trump has also threatened further tariffs on an additional $267bn worth of Chinese products. US Treasury Secretary Steven Mnuchin, who is due to meet with Chinese Vice Premier Liu He in Beijing this week, said he hoped for “productive” trade meetings in China, according to Reuters. Washington is pressing Beijing to make changes to its economic policies, which it says unfairly favour domestic companies through subsidies and other support. It has also accused the government of supporting technology theft as part of its broader development strategy, while in China there is a sense that the US is using the trade war to contain the country’s rise.